The Obafemi Awolowo University Students’ Union Vice President, Jacob Tosin, popularly called Emerald, and the Director of Socials, Adedayo Afolabi, also known as Lamba, engaged in fisticuff on Tuesday, at an executive meeting that held at the office of the President of the Union, Oyekan Ibukun. 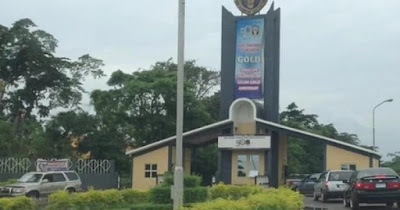 Investigation revealed that the fight is connected to the N3.8 million Students’ Union backlog of funds released by the university management on August 31. Premium Times learnt that the students council had resolved to embark on some projects with the funds which include; refurbishment of union library, construction of SUB (student union building) relaxation centre, and construction of a staircase around Alumni-Archi axis. Emerald had expressed displeasure over the decision. The Welfare Director of the Union, Ajiboye Adekanmi, who spoke with our reporter, said the executive ignored her proposal on how the funds should be deployed. “While she proceeded to the door to exit the meeting, Lamba (Mr. Afolabi) engaged her but she raised alarm of harassment. Emerald attacked Lamba first before he retaliated. Later, she opened the fridge of the president but could not find any bottle except a malt bottle on the shelf which she broke to attack Lamba. When both parties engaged in another round of physical combat, Lamba headbutted the Vice President, Emerald. They both sustained injuries and were taken to the university health centre,” Mr Adekanmi said.